After a long and much needed hiatus Made In America is back kids! Continuing the tradition of giving you the gift of listening to music that I like, and I think you should like too, I'll bring you up-and-coming bands from the western hemisphere on an occasional and infrequent basis. Mainly when I can find time to get away from my real job. In the past I've covered the United States, Canada, and Mexico but in what will be a first for blog, South America is now on the list! Deb and The Mentals are a four piece no-frills garage rock band out of Sao Paulo, Brazil. Their debut EP Feel The Mantra (2015) is chock full of energetic 90's alternative and Riot Grrrl angst. 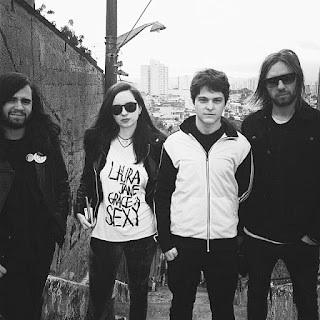 Veterans of the Sao Paulo indie music scene, Deborah Babilonia (vocals), Giuliano Di Martino (drums), Stanislaw Tchaick (bass), and Guilherme Hypolitho (guitars) have cut their teeth over the years with bands such as End Hits, P.U.S, Debbie and The Rocketeers, Veronica Kills and Water Rats. 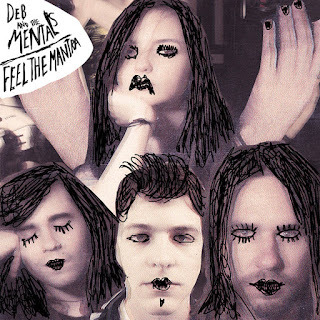 Deb and The Mentals wears the fleece shirts of their influences proudly and continues the grand tradition endearing bands like Sleater-Kinney and Bikini Kill so break out your Chuck's, pour yourself a hot cup of coffee, and listen below.